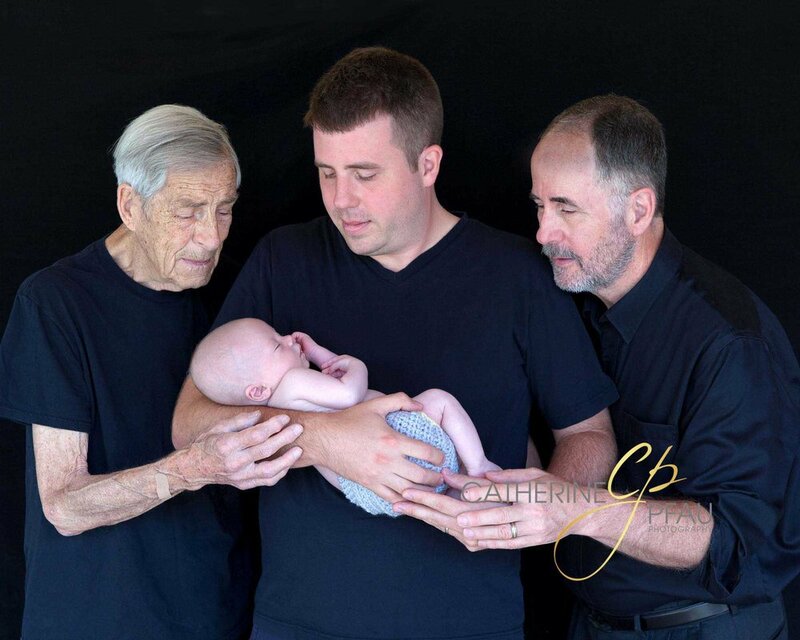 Browse, dream, and imagine what Catherine Pfau Photography can offer you, creating photographic memories to cherish and pass on to future generations. Ones that you will love. Ones that bring out the best in you. Ones that your children and grandchildren will cherish. We invite you to browse through our gallery of contemporary, family, and intergenerational portraits, then picture what we can create for you. “Catherine started out by doing a maternity shoot for us. She was very professional and catered to our requests (including working with our two large black labs!). She made me feel very beautiful and comfortable doing the photos. My husband hates getting his picture taken and even he had fun! The photos came out fantastic and everyone loved them. When our baby was born, of course we asked Catherine to do a newborn shoot with us. We will forever treasure the first pictures of our son. We’ll definitely be doing more photo shoots with Catherine!” - Heather A.
Browse our three galleries to see examples of our work. Copyright © 2019 Catherine Pfau Photography. All rights reserved.